Don’t miss these four books every candidate should read…if you want to win that is. Well, the calendar has turned over and we’ve entered another election year. Soon, candidates across America will be filing for office (if they haven’t already) and beginning a journey that will be at turns heart-pounding and tedious, joyous and frightening, fulfilling and tragic. One of the best ways that candidates can prepare themselves for this ride is to learn from the wisdom of others who have blazed similar, if not identical, trails. Here’s a brief run down of four books every candidate should read before their campaign kicks into gear. 2) Never Eat Alone by Keith Ferazzi. Though not technically a campaign book, Ferazzi provides great insight in to that most essential of all political skills: Networking. “Build It Before You Need It” and “Connecting With Connectors” are two chapters every candidate should learn by heart. 3) The Audacity To Win by David Plouffe. Regardless of who you feel about President Obama, his rise from one-term Illinois State Senator to President of the United States in just a few short years is nothing short of stunning. This book lays out in great detail how Obama’s team combined cutting edge technology, innovative strategies and old-fashioned hard work to pull off the most unlikely win in the last century of American politics. If you don’t think you can bring yourself to read about President Obama’s rise, I understand. But, as the Executive Director for McCain’s 2008 campaign in Missouri, trust me, if I can get through this read so can you. 4) Strengths Finder 2.0 by Tom Rath. Not a political book, but a great way to identify and maximize your own strengths. Buy a few extra copies for your core team. Politics is a team sport. Knowing the strengths of your teammates will allow you to put them in positions to succeed. With such a wide variety of ways to access these books today, from digital downloads to books on CD, you have no excuse for ignoring these essential lessons. 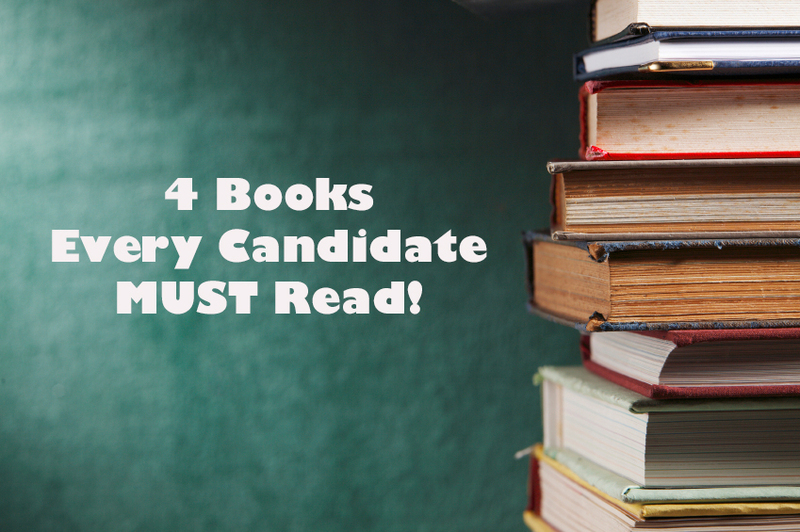 Be sure to get these four books every candidate should read…before your competition does.